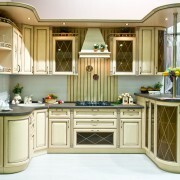 Cooking makes kitchens very humid and humidity will inevitably damage the cabinetry over time. 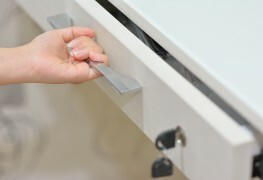 The question is: should you restore or replace your moisture-damaged kitchen cabinets? 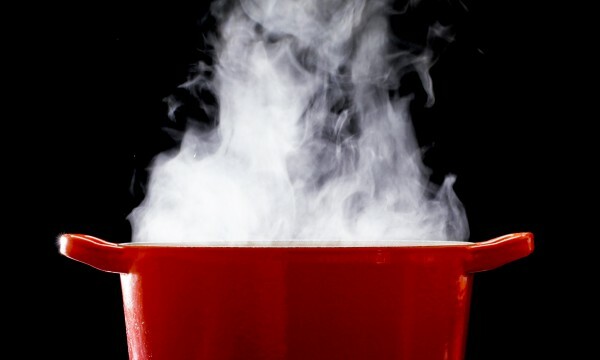 Exposing your kitchen cabinets to moisture and water is inevitable. The kitchen is a naturally humid room. Unfortunately, the damage isn't just an unpleasant site to look at. It can also affect the functionality of your cabinets. In some cases, your cabinets can be salvaged with a few minor repairs. In other cases, you may need to consider replacing them altogether. Here's how to diagnose the damage and figure out which is the best option for you. The “false front” of your cabinets can become streaked, worn-looking, and dull from constant exposure to moisture and steam. This can occur because your kitchen cabinets were not sealed properly, thereby leaving the finish porous. Prolonged use can also be a reason. 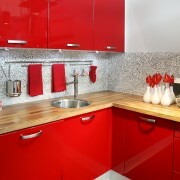 Though this affects the appearance of your kitchen cabinets, it rarely affects your ability to use them. 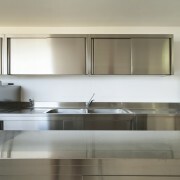 Damage to the bottom of kitchen cabinets is typical in places where pipes run, such as the cabinet around a sink. Over time, PVC piping ages and the seal stops being watertight. This allows water to drip onto the bottom of the cabinet. In the worst cases, a pipe seal will burst and flood the cabinet. To repair water-damaged cabinet bottoms, it is imperative that you soak up the water as quickly as possible. If the cabinet begins to warp, smell musty, or noticeably change colours, replace the cabinet bottom, or the entire cabinet, if necessary. If you catch the water damage early enough, you should be able to restore the cabinet easily by quickly re-sanding, re-finishing and re-sealing it. If the cabinet has significant warping, buckling, major changes of color, or a musty smell, it is necessary to replace the cabinet either in part or in whole. 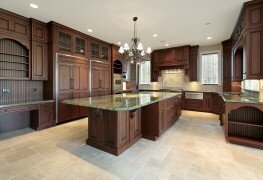 Unfortunately, replacing kitchen cabinets is not an easy task and it can be difficult to match new cabinets to old ones. Because of this, you may need to replace all of your cabinets. First, gently sand your cabinet. Next, you must find a finish that matches the rest of your cabinetry. Try going to your local hardware store. 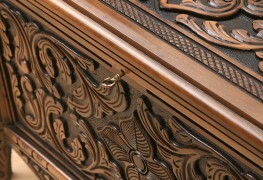 Lastly, you may want to use a special sealant on the cabinet, to protect it from future moisture exposure. If the damage is not just aesthetic and the functionality of your cabinets are compromised, it may be time to consider a complete replacement.